Hialeah Police Department officers are asking the public for help finding Reydel Granjas Wednesday. 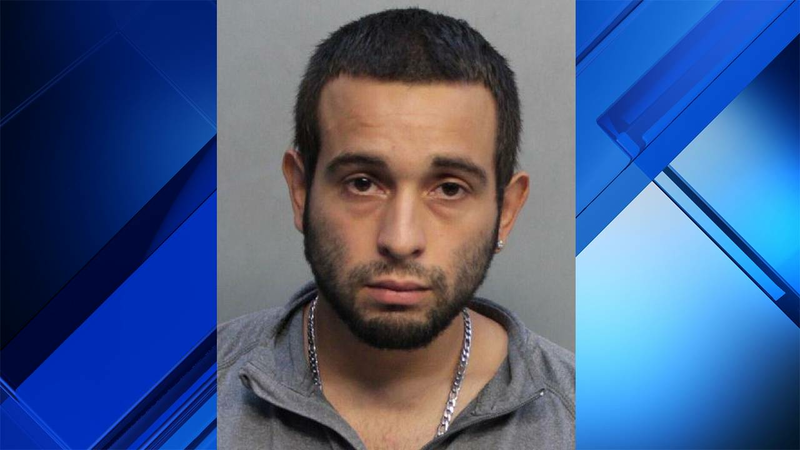 HIALEAH, Fla. - Dozens of officers from Miami-Dade and Hialeah police departments descended on Amelia Earhart Park in Hialeah Wednesday to search for a 28-year-old man, who vanished after he was accused of threatening to kill his mother and other relatives. Hialeah Police Department Lt. Eddie Rodriguez later identified the fugitive as Reydel David Granjas. Rodriguez, a spokesman for the police department, said Granjas was last seen at 7240 West 2nd Lane, a townhome about a block away from the park at 401 E 65th St. This isn't the first time Granjas runs away from police officers. Miami-Dade County court records show Granjas was also considered a fugitive in 2010 when he was extradited over aggravated assault with a deadly weapon charges in Texas' Randall County. Detectives are asking anyone with information about Granjas to call 305-687-2525 or Miami-Dade Crime Stoppers at 305-471-8477.